Q: Is there anything more frustrating than being a One Hit Wonder? A: Maybe being a One Hit Wonder Tribute Act. But what goes on behind the wigs, costumes and shades? 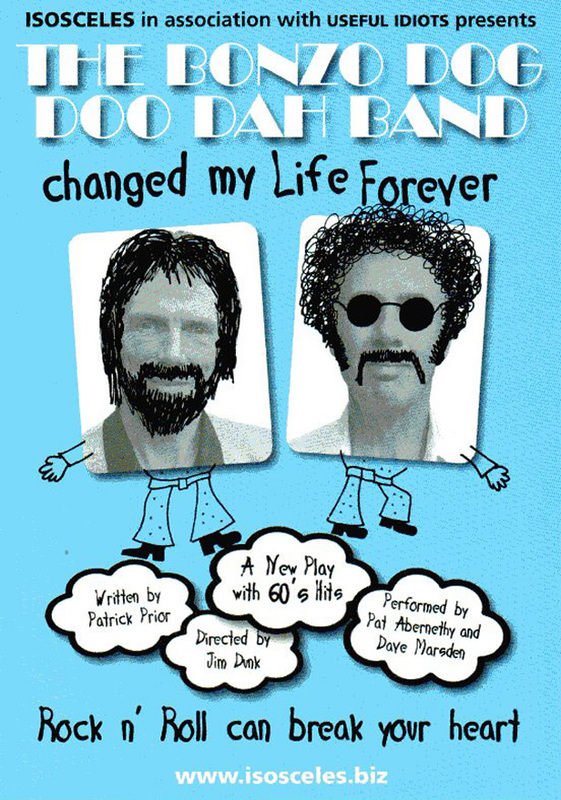 This play tells the story of two Tribute Wannabees, Bob and Eric, who meet at an audition which might be there last chance for fame. but Rock n' Roll can break your heart. A story driven along by songs from the sixties that might lead them to the promised land... 'The Crying Game', 'Urban Spaceman', I'm The Pied Piper', 'San Francisco', 'Something In The Air', 'Spirit In The Sky', and many more. The highs and the lows in the strange Xeroxed world of the Tribute act are as extreme as any branch of entertainment and in this gem of a play we meet two wonderfully realised characters in road-hardened rocker Eric(Dave Marsden) and naive newcomer Bob(Pat Abernethy), both auditioning for a low-budget chance to get on the elusive first rung of the Look-A-Like ladder. What a pleasure it was to spend an hour and a half in the company of these superbly played 'rugged up' write-offs. Two no-hit-wonders - both passionate about their music, both with an achingly sad tale to tell and both cruelly lost in the icy margins of the music business. They may be going nowhere - but in a hugely enjoyable play, laced with some great 60s covers, loads of humour and painful candour - it's a trip well worth taking.....man. I loved it. 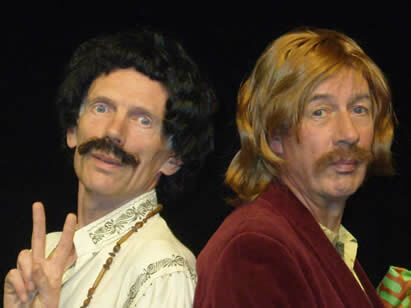 Pat Abernethy & Dave Marsden were brilliant in “The Bonzo Dog Doo Dah Band Changed My Life Forever” This play had the perfect combination of humour, nostalgia & sadness & should be destined for a much larger stage setting. The play touches the hearts of anyone brought up anytime from the 1960’s to the present day reflecting on rock & pop trivia, life in a struggling band & terminal illness. An absorbing combination. 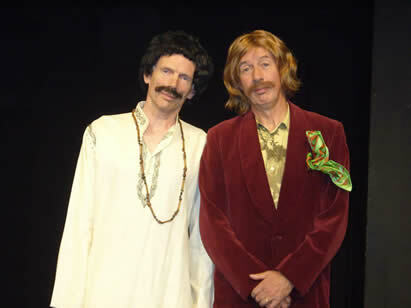 Pat & Dave transformed themselves into two humorous losers still chasing their own particular dream in the bottom end of the music industry. Their singing & acting combined, kept the play flowing at all times, culminating with a heart breaking emotional twist at the end of the play. Patrick Prior is obviously a very talented script writer. Thanks for a very entertaining evening. 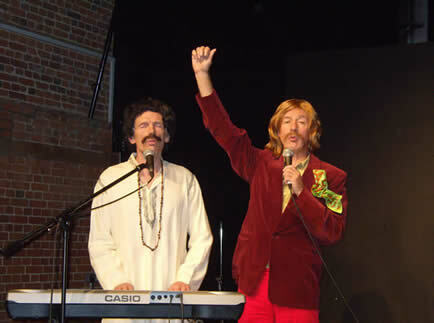 I'd forgotten I was that old untill Isosceles Theatre Company crept up and gently, but not unkindly, reminded me when I saw 'The Bonzo Dog Doo Dah Band Changed My Life Forever'. 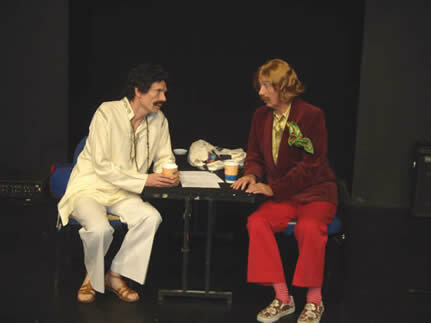 The Show, written by Patrick Prior and directed with quiet effectiveness by Jim Dunk, tells the story of two ageing wannabe rock stars searching for perhaps a last chance at inhabiting that strange netherworld of glamour, adulation and madness that is the 'entertainment' business. 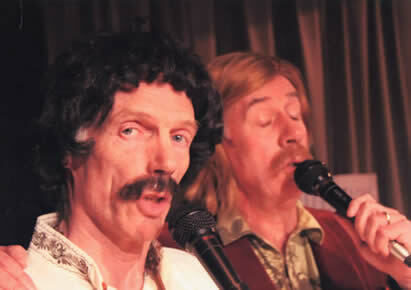 Pat Abernethy and Dave Marsden brilliantly inhabit the personae of aspiring but hopeless dream seekers with wit, pathos and a neat line in performing those one-hit wonder songs from the 60's which are a soundtrack to many lives. It all works perfectly - there is humour, tragedy, a good storyline and always at the back of the mind we are reminded of those gruesome auditions for today's reality entertainment show. If you want an antidote to the cruel Cowellesque absurdities that strut and fret on the monstrous showbiz stage, then try this for an evening of real, effective theatre. With the soundtrack of the 60's and 70's it would be almost impossible to fail...........Songs like 'Bobby's Girl' and 'Monster Mash' push all the right buttons and the final song 'Urban Spaceman', provides an upbeat ending. Pat Abernethy brings great subtlety and understatement to his role..........He also has emotional depth. When he receives bad news by telephone, his response is heart rending and utterly believable. "It was a grand bit of writing and the characters were realised with such fine regard to the emotion of the piece; laughs and tears in a perfect balance. 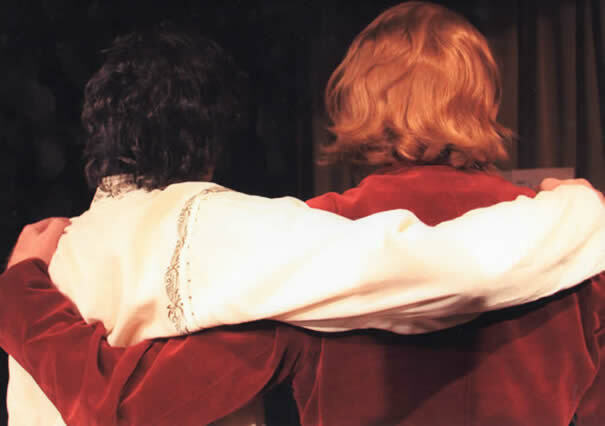 Your performances were finely crafted and the renditions of Crying Game and Juliet really hit the heart-strings.......................Cumbernauld Theatre. " "I thoroughly enjoyed the performance and am pleased to say I managed to remember most of the words to the great songs you sang. Fab!.............................Byre Theatre, St Andrews." 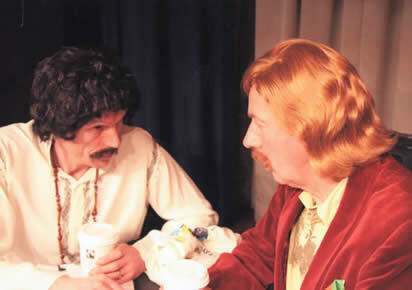 "Saw your show last night in Leighton Buzzard, great, really enjoyed it.....I thought it was an interesting format and needless to say all the songs were familiar..................................Leighton Buzzard Theatre." "Dear Pat and Dave, Brilliant! Thank you for a wonderful evening. I'd love to know where and when you are appearing in the future....Peace and love! ...................................The Georgian Theatre, Richmond." "Congratulations on another excellent performance this evening. I enjoyed it very much.........Tara Arts Centre, London." This show had its World Premiere at The Yvonne Arnaud Mill Studio, Guildford on 2, 3, 4 October 2008.